The Tonopah 2012 Bid Committee is proud to announce a spectacular new policy. Tonopah 2012 is offering something very similar. 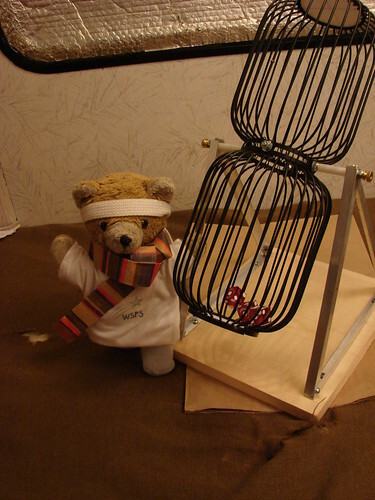 Kuma Bear is seen here with the official Tonopah Dice Cage. this dice cage from scratch. "If you can't think of any place better, VOTE TONOPAH!"